If your customers were given a snippet of your content to read, would they know it was you, just from how it sounded? 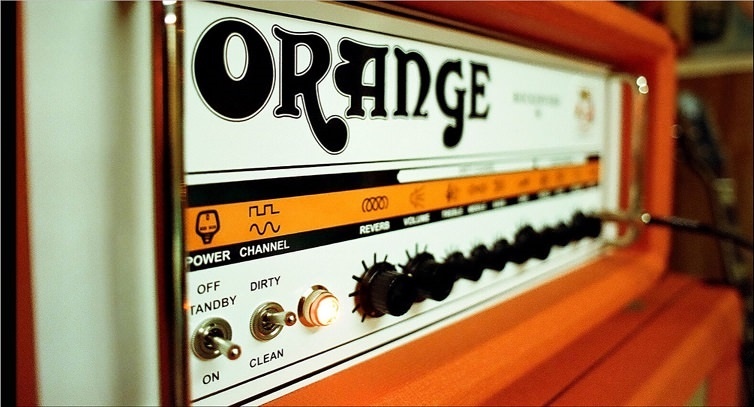 Finding your brand’s tone of voice in today’s noisy marketing world can be challenging. So, how exactly do you set yourself apart from the competition while still sounding like you? In this post, we look at how to define your brand’s tone of voice to help you strengthen your position in your industry. By breaking the process down into smaller parts, you can begin to arrive at a tone that fits your personality and engages with your audience. Although it’s difficult to find unique personality traits, it can help to avoid using vague words like ‘happy’ and ‘friendly’. Although your brand may well be both these things, try digging a little deeper to find the exact type of happy and friendly that defines you – are you pleasantly satisfied, or overjoyed: easy to talk to, or eager to please? Any genuine personality traits that might set you apart from the status quo is a good starting point for establishing your brand’s voice. When it comes to defining your brand’s values, it can help to dust off the old business plan from way back when. Seeing how you envisioned your values when your brand first launched can help you consider your positioning today. Are your values still the same? If they are, then you know exactly where you stand. If they’re different, how do they fit with how you see yourself in your industry today? Once you have your list of personality traits and values, you can then consider how they translate into the language and style of your writing. 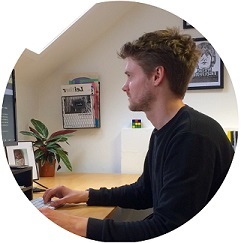 At Brand New Copy, we define our tone of voice as ‘conversational’. We try to demonstrate this through the language that we use and the style we adopt. ‘Feet on the street’, for example is used as an alternative to ‘more people’ and you’ll notice that we always use contractions like ‘you’ll’, rather than ‘you will’ to keep things casual. Based on your brand’s personality traits and values, what kind of language might you use in your written communications? For example, if you’re friendly and adventurous, you’ll probably be more ‘awesome’ and ‘stoked’ than ‘satisfied’ and ‘motivated’. But where are the boundaries? How friendly is over-friendly, and how sensible is too sensible? Just as people have varying degrees of their personality traits and values, so will your brand. That’s when it helps to have parameters in the form of tone of voice guidelines. 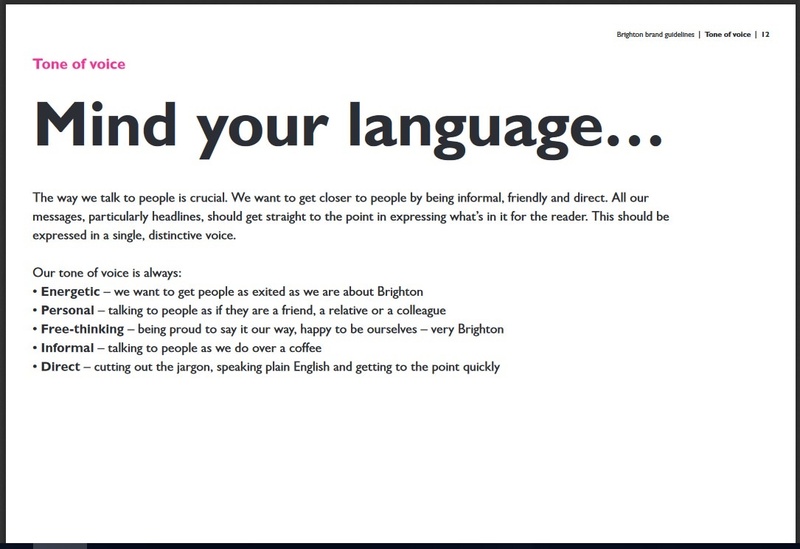 One way to ensure that your language and style is consistent is to create a set of guidelines. 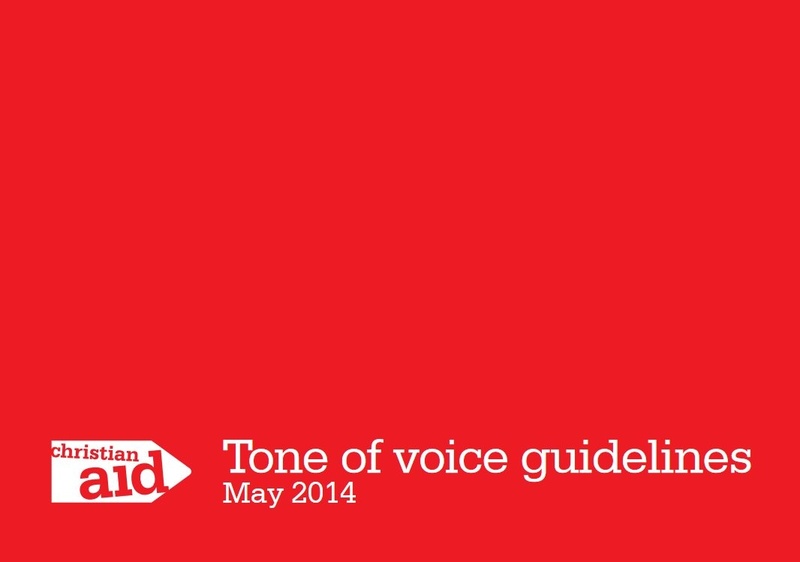 Tone of voice guidelines outline what you say, how you say it and why. 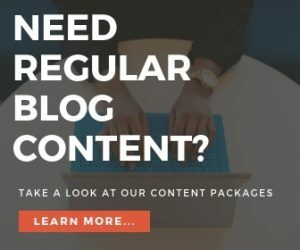 Essentially, they act as a list of dos and don’ts when it comes to writing for your brand. When it comes to implementing your tone of voice, consistency is the key. A recognisable tone can strengthen your brand’s positioning by gaining people’s trust, which in turn, enables you to be more persuasive when it counts. 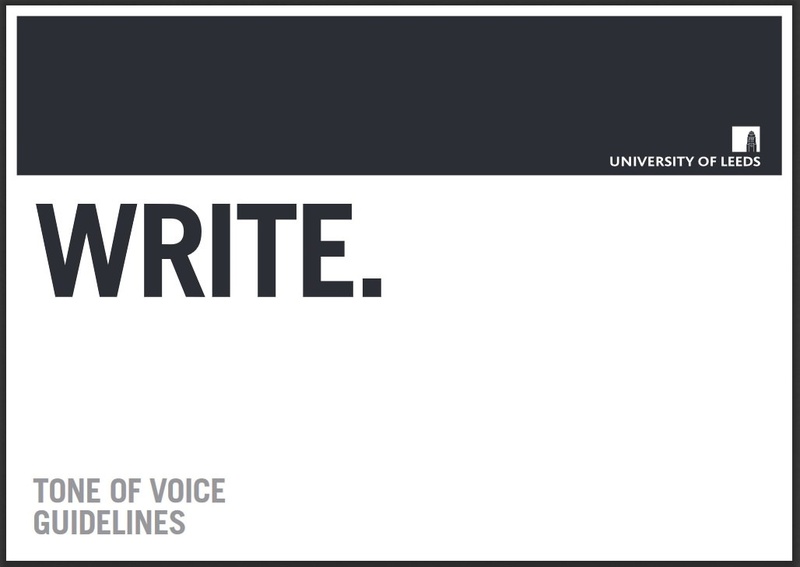 Some brands might tie their tone of voice guidelines in with their style guidelines, whereas others might dedicate a full document to tone on its own. Whichever way you present your guidelines, the process of documenting them can be a useful exercise in itself to get you acquainted with your brand’s voice. Sometimes, the best way to find your tone of voice is to look at how other brands approach theirs. You may want to carry out a brief analysis on the competition to see if there’s any obvious opportunities up for grabs. Get there. Your day belongs to you. Daily commute. Errand across town. Early morning flight. Late night drinks. Wherever you’re headed, count on Uber for a ride—no reservations required. Another great example of a brand that has their tone of voice down to a tee is Crieff Hydro Hotel in Perthshire, Scotland. Their personality-driven copy creates a relaxed tone of voice that has a sense of humour. 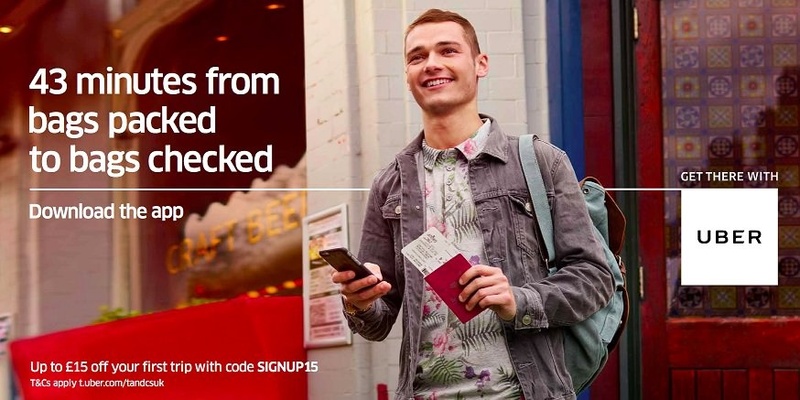 And it’s no wonder, considering they enlisted the services of Blackad copywriting agency in Glasgow – a smart move if we do say so ourselves. If you’ve ever taken out insurance with First Direct, you’ll probably be familiar with their sharp, witty tone. Their refreshing approach to the usually-corporate tone of insurance companies helps them stand out in the market as the ‘down-to-earth’ alternative. And of course, written tone of voice also influences the tone of a brand’s visuals, as First Direct’s wonderfully wacky TV adverts featuring Barry the Platypus demonstrate. 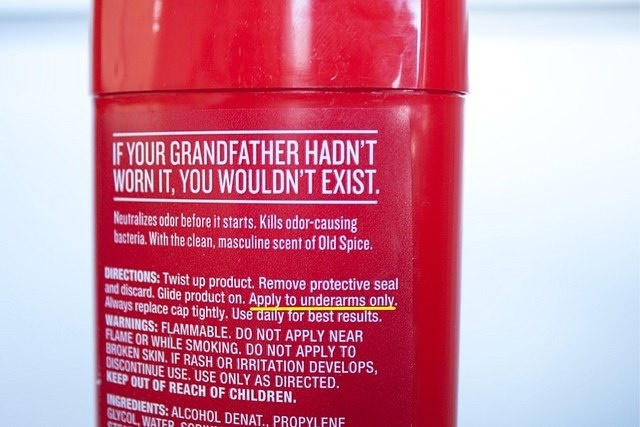 For years Old Spice was seen as ‘that aftershave your Grandad used to wear’, but a rebranding around 2010 (kind of) changed all that when they adopted an irreverent tone of voice, poking fun at their own dated macho image. 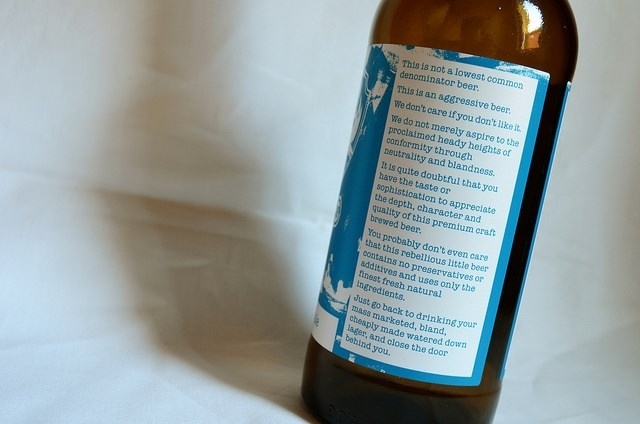 Pioneers of the craft beer revolution (by their own admission), Brewdog aren’t backwards in coming forwards when it comes to self-promotion. Their punk attitude and defiant tone of voice helped them concrete their position as market leaders in the UK craft beer industry. And what tone of voice guide would be complete without a mention of innocent smoothies. Their quirky tone of voice has spawned hundreds of imitators in the food and drink industry. Even national banks have tried their hand at the odd bit of wackaging. Their off-beat, entertaining copy has helped Innocent launch their brand to worldwide fame within the space of about 2 seconds. When it comes to creating your brand’s tone of voice, try to think of the personality traits that it would have if it were human. The more specific you can be in your word choice, the better you’ll be able to set yourself apart from the competition. Also consider your brand’s values and think about how your principles best serve your industry. Once you’ve established your personality and values, you can then translate them into written language in the form of guidelines. But remember, tone of voice guidelines needn’t be lengthy documents, sometimes a single page is all you need to ensure that your company writes in the same tone. Excellent article on tone of voice. As a fellow copywriter and Marketer, I find that many clients underestimate the importance of tone and the impact it can have on an audience when it comes to brand positioning. Thanks for reiterating my knowledge. This was very helpful.